Hundreds of thousands of people who were mis-sold payday loans will receive a fraction of the compensation they are entitled to after a lender collapsed. WageDay Advance had given loans to about 800,000 people but went into administration earlier this year. Michael Ingram no longer owes money to WageDay Advance, but has borrowed from the company on several occasions in the past. Once one loan had been paid off, he took another - often bigger - one. His largest loans were for about £700. The 32-year-old full-time dad submitted a complaint in November that he had been mis-sold loans. He was contacted by the company to say it would not be able to process that complaint within the eight weeks stipulated by regulators. He was still waiting when the company went into administration. "My complaint has not been resolved. I want some closure. I am optimistic, but I am not holding my breath," he said. WageDay Advance and Juo Loans were the brand names of CURO Transatlantic Limited, which went into administration in February. In 2017, it won an industry award when it was named the best short-term loan provider. The company built a claims calculator, which has estimated that current and former customers could be entitled to up to £223m in compensation, including interest. An estimated 330,000 people are expected still to have eligible claims for compensation. Successful claims made last year had an average payout of £850. The firm collapsed as it was unable to cope with the cost of dealing with these complaints and the potential payouts. Now administrators from KPMG are using that calculator to determine how much individual customers still owe, after compensation is subtracted. Calculations are also being made to work out compensation entitlement for each former borrower who has already paid off their loans. These individuals are now receiving emails, and accompanying text messages, outlining their entitlement, or new balance if they are still paying back loans. The emails carry the logo of the administrators, KPMG, and WageDay Advance and Juo Loans. However, recipients must reply to claim the compensation that has been calculated. The number of claims will determine how much is eventually paid out, but it will only be a fraction of the full amount. Anyone with outstanding loans will still have to pay off the balance after compensation has been subtracted, although fees and interest have been permanently frozen. Debt adviser Sara Williams, who writes the Debt Camel blog, said the total compensation bill reflected the "huge amount of interest many desperate people ended up paying". "Payday loans are supposed to be short term borrowing. But too often Wageday Advance customers were caught in the payday loan trap for months and even years, only able to repay a loan if they borrowed again soon after," she said. "Wageday Advance were a medium-size payday lender. It would be interesting to know if the other lenders have worked out how much they should be paying in refunds to customers given unaffordable loans." About 60,000 loans - almost entirely recent loans without any compensation entitlement - were sold off to Shelby Finance Limited, and will continue as normal. Customers can check if they are one of those transferred on the WageDay website. Fears over the level of personal debt built up by individuals continues to concern charities. 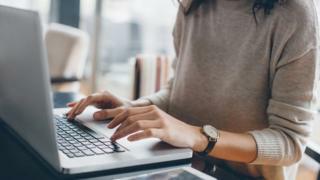 In its annual report, published on Wednesday, debt charity StepChange said there had been a "small, but worrying" rise in the number of people seeking help who had payday, or high-cost and short-term, loans. Some 26% of new female clients and 35% of new male clients, aged under 25, had this kind of debt, a much higher level than older age groups. Overall, the charity said it had seen a consistent rise in single parents seeking help, Some 85% of them were women. In 2018, 23% of those who took debt advice were single parents, up from 21.5% in 2017 and from 18% since 2014. Single parents account for only 6% of the UK population. "While debt can strike at any age, on average our clients are getting younger. It is important that policymakers work to help turn the tide and prevent debt becoming an inevitable rite of passage for young adults," said Phil Andrew, chief executive of StepChange.